Millet. That is my price. 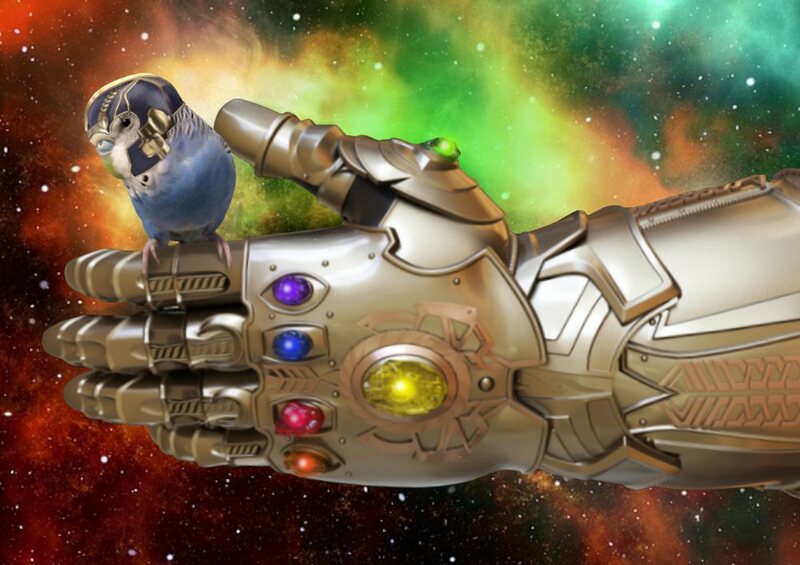 Posted on July 20, 2018 by Michelle M.
This entry was posted in Starring Roles and tagged budgie, Comic Con budgie, Cooper, parakeet, Starring Roles, Thanos Budgie by Michelle M.. Bookmark the permalink.